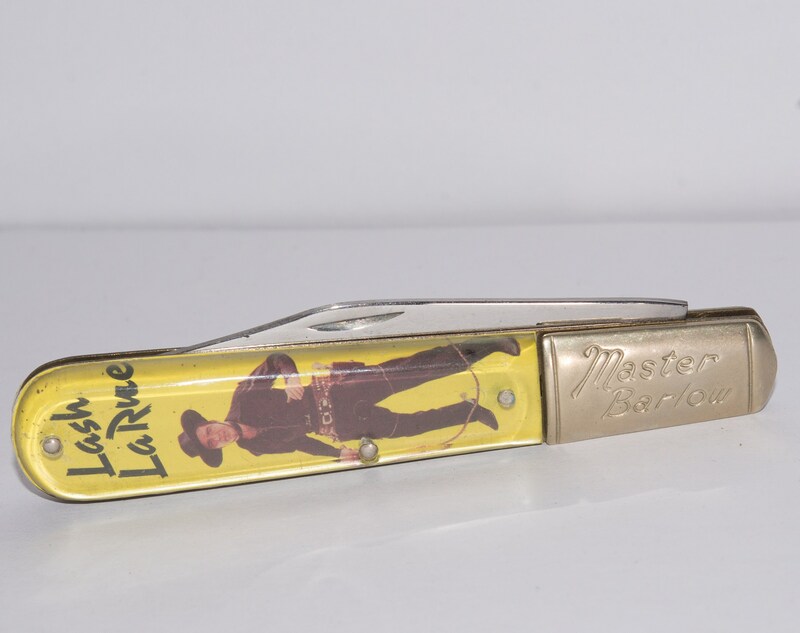 "Lash LaRue" Large Master Barlow Single-Blade Knife. 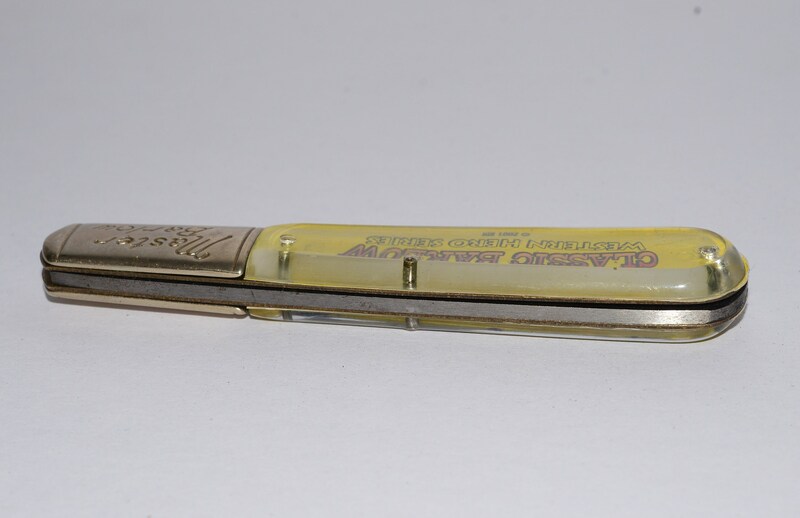 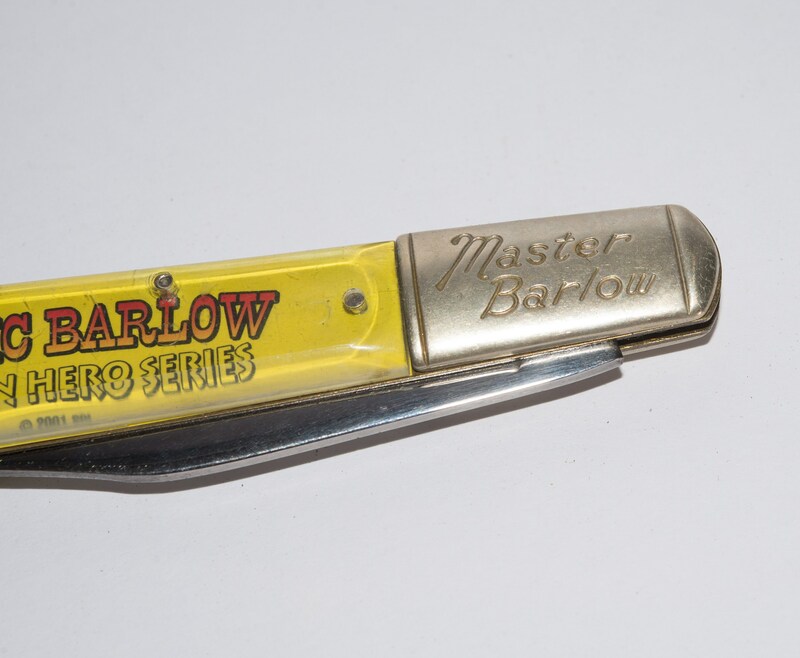 Classic Barlow Western Hero Series. . Has a great snap and lock with no wobble. . 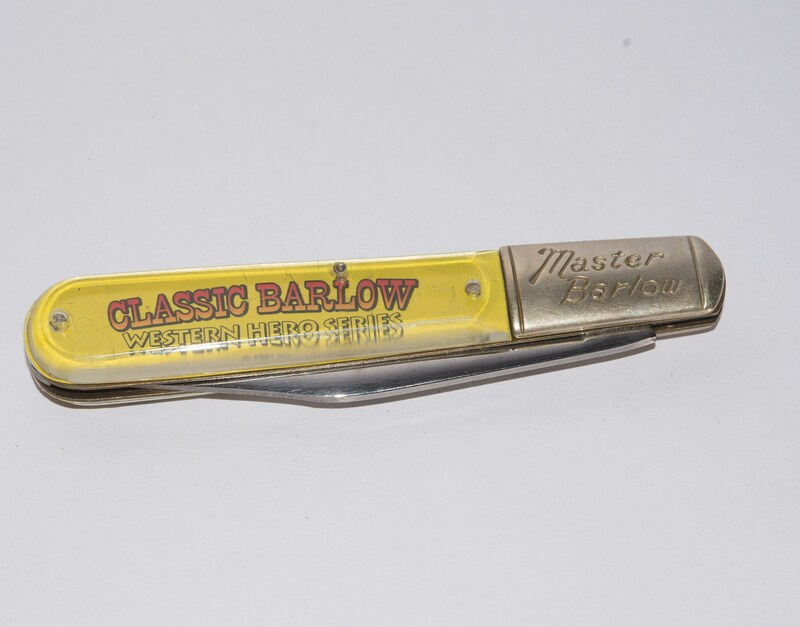 Handle is made of plastic. 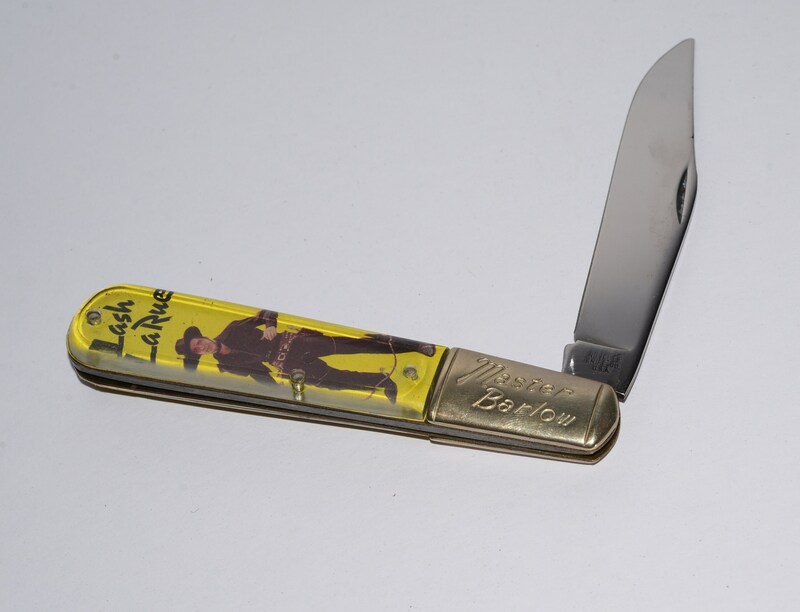 Tang is stamped "Novelty Knife Co. USA". 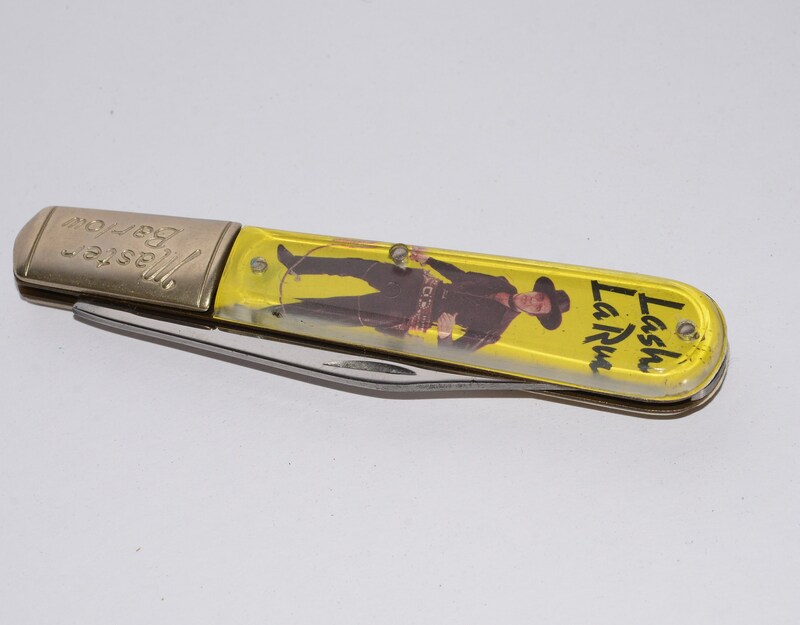 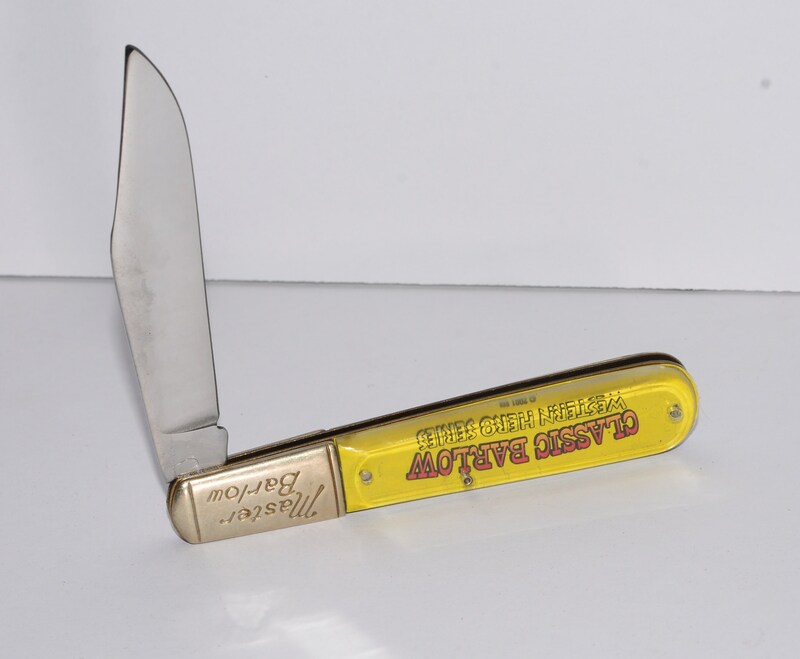 Great little collectible knife with single blade, No damage to the plastic, a nice little starter knife for a young person looking to collect.